Good for those who missed the Tesco deal. £20 copy of Dishonored 2 or about £30 back in cash from cex against the pro. They've just taken the price back off again and classed it as "Currently Unavailable". Good for those who missed the Tesco deal. £20 copy of Dishonored 2 or … Good for those who missed the Tesco deal. £20 copy of Dishonored 2 or about £30 back in cash from cex against the pro. ​Please provide evidence. I have checked the website their is no proof. 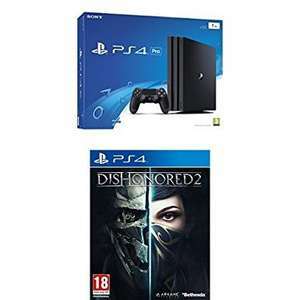 At Argos it is a PS4 Pro + Dishonoured 2 + a £10 off voucher on your next purchase all for £349.99.